We all know what happens next – you head to the local beer store only to find out that whatever it is you’re looking for isn’t distributed to your state. With so much great craft beer in the US today, distribution levels have just not been able to catch up to demand (not to mention the difficulties of a smaller operation getting store space from one of the big guys). So where’s a craft beer lover to turn when they just have to have the latest and greatest beer from a faraway state? Beer trading. Just like lunchtime on the playground back in grade school, trading is the way to go. Here are a few simple steps to help you through a beer trade. 1. Identify your desired beer. Know what you’re after. Not only will it help you narrow your search, but you can also use websites like http://www.seekabrew.com to see what other states various breweries distribute to. Also have an idea of what beer you’d be willing to trade in exchange for your desired beer. Maybe you have multiples of a certain beer that you love that you’d be willing to let go of. You could also keep a list of good craft beers in your area on hand that you know aren’t distributed outside of your home state. 2. Seek out a trading partner. Lean on friends and family in other states. Ask them if they can do the work for you if you’re interested in things that they can easily get at their local stores, and offer them some of your town’s finest craft beer. Websites like BeerAdvocate and Reddit are also great places to start if you don’t know anyone or your own personal network just isn’t into craft beer as much as you are. Oftentimes, those sites have lists of banned and/or recommended traders. Use the proper forums and post what you are in search of (ISO), as well as what you have for trading (FT). Sometimes you can get away with just putting out there what you’re looking for, but it’s nice to frame the conversation by giving a potential trader an idea of what you can do for them as well. After some back and forth, come to a clear agreement about what the trade will be. Most of the time, you’ll want it to be dollar-for-dollar, although there may be the rare occurrence where you’re trading for something extra limited and need to put something additional into the trade to balance it out. Sum up the deal with your trading partner before sending, and make sure you have all of the necessary mailing information. Now you don’t have to get too crazy with packaging your beer trade, but you obviously want to make sure that it arrives in one piece. 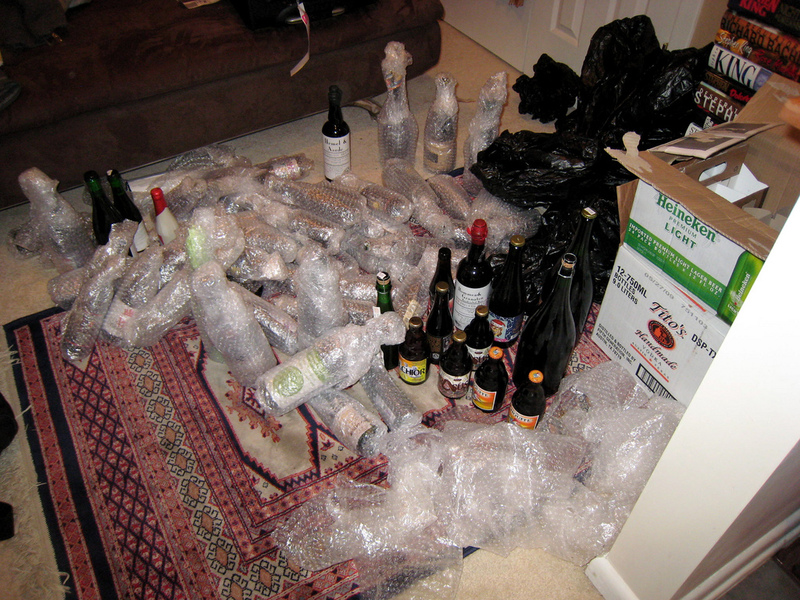 Use a lot of bubble wrap, and something like crinkled newspaper to cushion between the bottles as well as between the edges of the box and the beer. Everything should be wrapped and cushioned, but you don’t have to go too far overboard. Just use common sense. Also, please don’t “drop test” it at home. If you think the beer wouldn’t survive a drop, then add more padding or use a bigger box. But it’s better to have the deliverer ruin your beer trade than dropping it on your own floor and breaking everything yourself. Use UPS or FedEx. 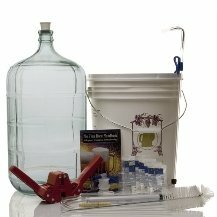 Don’t use the US Postal Service (unless they do in fact legalize alcohol shipments in the near future), as you need a license to ship alcohol through them. If your package is packed well enough, you won’t need to label it fragile or do anything like that. Say that there are glass containers inside if asked and tell them that you’ve packed it well enough yourself. Unless you’ve worked out a deal with your trading partner, use the slowest/cheapest shipping option possible. Within the US, it will most likely be less than a week. Pat yourself on the back. Like a true American, you’ve figured out how to beat the system and enjoy some great craft beer. Be the envy of all of your craft beer-loving friends as you show off your trade haul, and eventually teach them the beer trading ways so that they too may enjoy great craft beer from outside their state.